This window on England opens on the Royal Horticultural Society and the stunning flower shows they organise along with the Chelsea Flower Show. I’ve sharpened the focus on Blenheim Palace, York, our home of chocolate and the autumn Ceramics Biennial in Stoke on Trent before taking a closer look at Cornwall. Although it is in the far southwest of England, it’s a first-class illustration of a TRAVEL LESS-SEE MORE destination and my suggestions will begin to reveal what this rugged southwestern tip of England can offer enterprising travel counsellors. The RHS has been inspiring a love of gardens for over 200 years with its world-famous garden shows. Having been busy in their own gardens during the spring, suggest a summer UK tour customised to include their annual Flower Shows at Hampton Court (1st-7th July) and Tatton Park (17th-21st July) which is easily reached with the new non-stop flights into Manchester. If your clients were too busy in the spring, offer them a day at the flagship garden at Wisley during their annual garden festival (3rd-8th September). 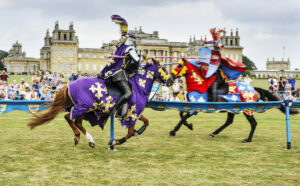 Many of our great stately homes stage major events and festivals throughout the year. 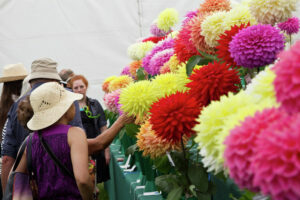 Blenheim Palace is a good example and a few that have caught my eye include their Food Festival (25th-27th May), Giffards Circus (6th-10th June), their Flower Show (21st-23rd June), the Elizabethan pop up Rose Theatre season (8th July to 7th September) and the Blenheim Palace Horse Trials (19th-22nd September). Using one of these events as part of a customised UK tour is the best way of ensuring to get to see the one you want. While other northern cities made their wealth from wool, cotton and steel; York went its own sweet way and built a city from chocolate. 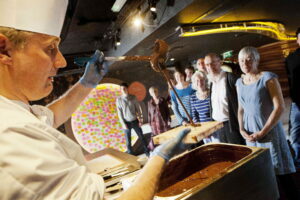 In addition to being the UK’s home of chocolate, York now hosts a new Cookery School at the 5-star Grand Hotel, this theme has potential for further development within the city and out in the Yorkshire Dales where Leyburn-based Inspired Chocolate make high-quality artisanal chocolates in a purpose-built Chocolate Factory in the Yorkshire Dales. This city and countryside combination produces a deliciously memorable result. This exceptional event returns to the World Capital of Ceramics aka. Stoke on Trent between 7th September and 13th October this year featuring work by contemporary artists in exhibitions and events across the city. Remember, this is the historic home of instantly recognisable and world-famous names like Wedgwood, Moorcroft, Aynsley, Burleigh, Dudson, Emma Bridgewater, Portmeirion, Spode, Royal Doulton, and Royal Stafford. If you have clients with an interest in ceramics, start planning a visit using one of growing number of non-stop flights into Manchester. More details coming shortly. The Great Gardens of Cornwall comprise 12 of the best-known, largest, most historically and horticulturally important gardens in the county and their members are comprised of private owners, National Trust gardens and garden businesses with a worldwide reputation for innovation and excellence. Enjoying the warmth of the Gulf Stream, these magical gardens are home to some of the most exciting, rare and beautiful plants in the UK. Let’s time a tour to coincide with the Cornwall Garden Society Spring Flower Show (early April date TBC). For fans of Doc Martin and Poldark, a close encounter with the On-Location worlds of these two popular TV series and the myths and legends of King Arthur will turn much loved fiction into touchable reality. 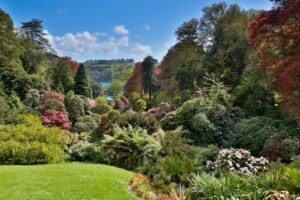 Enrich the mix with an upstairs/downstairs stately home visit, an alfresco picnic and at least one Cornish Cream Tea in an interesting location. Four flights per day connect LHR and Newquay Airport, and frequent direct trains between London and Penzance take the strain out of the journey. 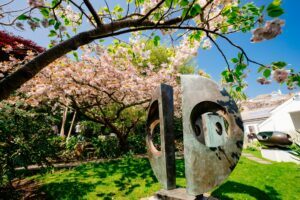 This art lovers tour brings together the Newlyn School of Art, the Tate Gallery in St Ives, the Barbara Hepworth Museum and Sculpture Garden and the exciting new developments that are taking place at the St Ives School of Painting at Porthmeor, overlooking the ocean. 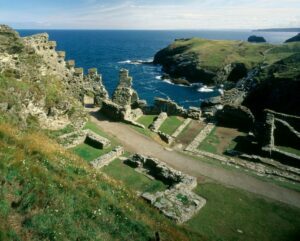 I’ve added an evening at the open air Minack Theatre where the back drop is the English Channel, some stunning gardens and a Cornish Silver Band or Male Voice Choir and time for a pint or two of Skinners Betty Skogs or Tintagel Pendragon. In 18th century England, John Wesley travelled thousands of miles preaching and bringing new hope to the poor of the emerging industrial nation. He travelled to the far south west of England on many occasions, visiting the great houses of the landed gentry of the period, villages, towns and chapels across Cornwall and several important locations come together as a tour that he would recognise. On the way there, a Birthplace of America tour of Bristol and the embarkation point for the Pilgrim Fathers in Plymouth. 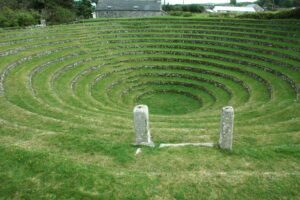 This 9-day tour uses the myths and legends of King Arthur and the Knights of the Round Table as the foundation for a tour that starts in Winchester before taking in key sites including the final home for Excalibur, the haunting ruins of King Arthur’s birthplace at Tintagel with Merlin’s Cave underneath (access according to the tides), the Neolithic fort which is forever ‘the famous town or castelle called Camelot and the final resting place for King Arthur and Queen Guinevere at Glastonbury Abbey.